LaBelle Exchange is one of the most reputable call centers serving businesses of all types in Laguna Beach and the larger Southern California area. A seven-time winner of the nationally recognized ATSI (Association of Teleservices International) Award of Excellence, we have a proven track record for offering Laguna Beach businesses professional, courteous, and accurate phone answering services with exceptional customer service. We offer very affordable, month-to-month service plans which allow us to accommodate the changing demands of our commercial and industrial clientele. In business since 1975, we have provided thousands of clients in and beyond Laguna Beach with comprehensive call center services, including 24-hour customer service lines, virtual assistants, message taking, advanced message delivery, scheduling, dispatching, inbound telemarketing, survey taking, order taking, payment processing, analytics, translation services, information screening, 800 services, and voicemail. As a family-owned and operated business, we are committed to consistently delivering exceptional phone answering services in Laguna Beach. That's why we use only the latest software from Startel and store extensive company profiles so we represent your business the way you want us to. We can store greetings, answers to frequently asked questions, product and service information, pricing information, surveys, satisfaction questionnaires, and more. Available for less than the cost of hiring, training, and retaining additional support staff, such as receptionists and customer service representatives, our call center services are designed to enhance the image of your Laguna Beach business while boosting accessibility and efficiency. 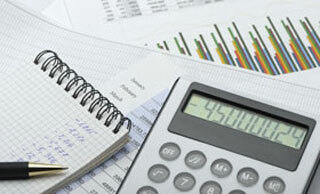 As a result, we frequently help businesses save money, improve their service record, and increase profitability. Call LaBell Exchange today and learn how our fully customizable phone answering services can enhance your business in Laguna Beach. We work with all kinds of businesses, including law firms, hospitals, clinics, doctor's offices, dentist's offices, hospices, bail bonds companies, equipment rental companies, plumbing companies, HVAC (heating, ventilation, and air conditioning) companies, refrigeration companies, roofing companies, towing companies, landscape architecture firms, elevator maintenance businesses, municipal departments, property managers, service-oriented companies, and more. At LaBell Exchange, we have over 39 years of experience working with attorneys and lawyers in Laguna Beach and beyond. Our call center services are available at all hours of the day and can be customized to suit the changing needs of your law firm, from receiving collect calls on behalf of inmates to managing inbound telemarketing efforts for callers seeking eligibility in a class action lawsuit. 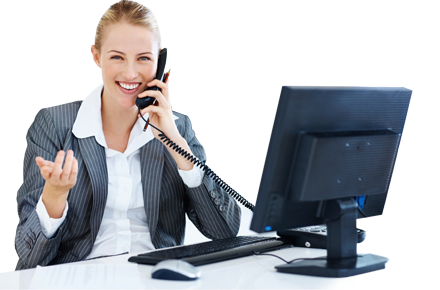 Our telephone answering services are also reasonable priced and can be customized to include virtual receptionist services, individual voicemail accounts for all of your staff, voicemail trees, customer service, scheduling, message taking and forwarding, call routing, operator-assisted surveys, and more. We even offer translation services and bilingual call operators fluent in both English and Spanish. So call today and learn how our accurate, professional, and confidential call center services will enhance your Laguna Beach law firm. Call LaBell Exchange today and learn how our medical answering services can save you time and money. We always provide caring and compassionate customer service over the phone and have worked with rehab centers, hospice centers, social workers, hospitals, physicians, dentists, psychologists, veterinarians, physical therapists, and other healthcare professionals in Laguna Beach and beyond over the past 39 years. Our phone answering services are in full compliance with HIPAA guidelines, and we excel in message taking, appointment setting, customized voicemail accounts, call forwarding, priority line screening, and more. Plus, we are available 24 hours a day and frequently assist in healthcare-related inbound telemarketing efforts, such as campaigns for seasonal vaccinations, cosmetic promotions, and annual check-ups. At LaBell Exchange, we offer our highly reliable call center services to tow truck companies of all sizes in Laguna Beach. We are available at all hours of the day and night, and offer our phone answering services at a great value. Simply route your incoming calls to us and we will help connect your services to those in Laguna Beach who are in need of major auto repair, want to have a car removed from their property, or recently had a car accident. Our call operators will always provide courteous and accurate answering services for your Laguna Beach tow company, including accurate message-taking services, convenient radio and cell phone dispatching services, and information screening (e.g. to ensure the client requires a tow, is in your service area, and has the appropriate methods of payment). They typically answer calls within 3 rings and can designate priority lines for California Highway Patrol (CHP) calls, keeping you at the top of their tow truck list. Learn more today by giving us a call. Our call center services offer a great value to service-oriented businesses, such as electricians, HVAC (heating, ventilation, and air conditioning) contractors, plumbers, and roofers, in Laguna Beach. We work with businesses of all sizes, and can enhance the professionalism of a sole practitioner or quicken the response time of a larger company with multiple locations. Prices for our telephone answering services in Laguna Beach are very competitive and available without any hidden fees or long-term contracts. Our call center is fully equipped and we offer 24-hour customer service lines, service scheduling, emergency dispatching, payment processing, priority lines, and information screening. We can also verify that your area of expertise is a match for your prospective caller and answer FAQs using a stored company profile. To learn more about how our call center services can enhance your Laguna Beach plumbing, HVAC, roofing, or electrical repair business, give us a call. At LaBell Exchange, we work with a wide range of equipment rental companies in Laguna Beach, including commercial and industrial companies that rent out trucks, forklifts, bulldozers, trench rollers, and other heavy-duty equipment. Our call center is available 24 hours a day and capable of handling comprehensive answering services, such as providing clients with rental, pricing, and policy information; taking accurate messages and orders; forwarding urgent calls to management; connecting with delivery trucks out in the field; and more. They can also schedule delivery of rental equipment, set up voicemail trees, and forward payment information to you for processing. Call today to learn more about our competitively priced call center services for equipment rental companies in Laguna Beach. Whether you manage an apartment, condo, commercial property, HOA, or townhouse, our Laguna Beach call center services are sure to deliver an excellent return on your investment. Our courteous phone answering operators are available to help facilitate the management of your properties 24 hours a day. Whether they are helping your tenants deal with an emergency, such as a broken water pipe or a fire, or to screen prospective tenants and schedule them for site visits, our operators will always provide outstanding customer service. With our professional answering service, fast response times, and high level of accuracy, we have earned the ATSI Award of Excellence seven years in a row. Call today and learn more about our high-quality, affordable answering services for property managers in Laguna Beach. At LaBell Exchange, we offer Laguna Beach municipal clients a wide selection of call center services: 24/7 live-operator answering services, message taking, emergency dispatching, phone surveys, information screening, voicemail features, advanced message delivery, and more. We also make it easy to serve the diverse populations of Southern California as we staff bilingual call operators (fluent in English and Spanish) and offer access to language lines. Our phone operators are all highly trained and experienced in delivering professional customer service at all times. So, call us today and learn how our answering services offer a great value to Laguna Beach water districts, health and sanitation departments, parks and recreation departments, traffic divisions, fire departments, licensing offices, and other municipal departments. Serving Laguna Beach bail bonds companies, our call center is available 24 hours a day to accurately and professionally handle your clients' needs, whether they are currently in jail or calling on behalf of a loved one. Our phone answering services are competitively priced and include 800 or local dedicated phone lines, voicemail, customer service, call routing, virtual receptionists, dispatching, surveys, scheduling, call screening and forwarding, and more. We know timing is key to retaining your Laguna Beach clients, which is why we answer the majority of calls within three rings and offer priority queues. We even accept collect calls and offer personalized hold greetings, which will prompt callers to gather relevant information. To learn more about our call center services for bail bonds companies in Laguna Beach, give us a call. In business since 1975, LaBell Exchange provides service companies in Laguna Beach with highly reliable call center services. We have experience working with a wide range of service-oriented companies and are able to handle large call volumes without sacrificing customer service. We always treat callers with courtesy and respect, and provide highly accurate telephone answering services 24 hours a day. 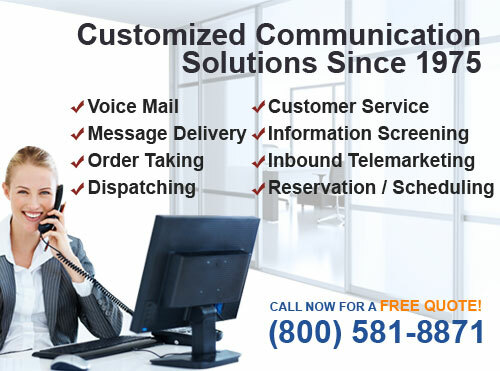 Using state-of-the-art telecommunications technology, we are able to store answers to your business's most frequently asked questions, as well as additional company information, such as hours, pricing, and answers to commonly asked questions. We also provide service-oriented businesses in Laguna Beach with dispatching services, virtual receptionist services, message taking, order taking, scheduling, purchasing, and more--all of which will deliver an excellent return on your investment. Call today to learn more.